Nature offers us many different kinds of feedstocks for the production of biofuel. Usually, we read about corn, soy, palm oil or sugar cane as raw sources for biofuel. These crops are also referred to as First Generation Feedstocks (FGF). FGF crops are widely grown worldwide because they can be used for both food and feed production. Thus, the production of biofuels from first generation feedstocks might generate food versus fuel conflicts. Second and third generation feedstocks represent two excellent alternatives to avoid the socio-economic controversy discussed in our previous article “Drawbacks of modern production of biofuel”. In fact, these alternative feedstocks might eliminate the problems related to the conversion of food resources into fuel and the deforestation process necessary to get access to new arable land. In this article we are going to talk about Second Generation Feedstocks like algae, non-edible oils and waste cooking oils, and Third Generation Feedstocks like microalgae. All algae contain proteins, carbohydrates, lipids and nucleic acids in varying proportions. Not only this makes them an ideal food, but what makes algae a good resource for biofuel is their high content of fatty acids. In fact, while the percentages vary with the type of algae, some are comprised up to 40% of their overall mass by fatty acids. Since algae are grown in water, they overcome the big problem of competing with food crops for limited arable land around the planet. Algae adapted to a wide range of environmental conditions and are thus able to survive even at high temperature in a highly salted water. 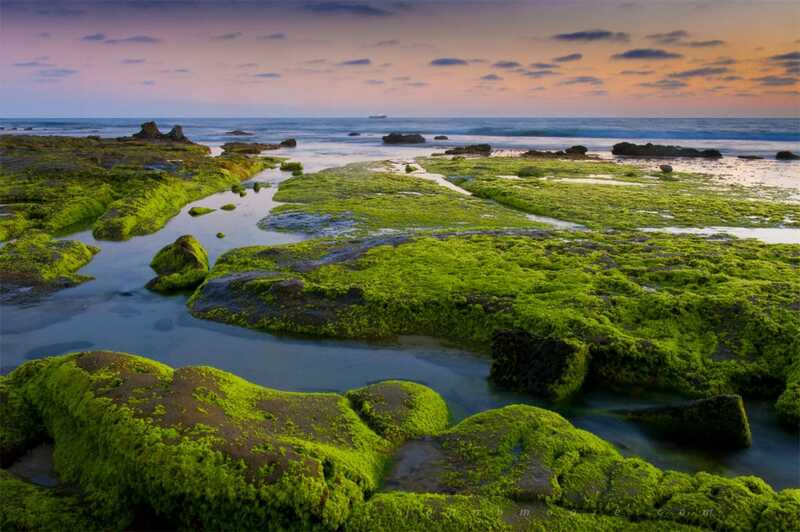 Microalgae are the fastest-growing photosynthesising organisms in the planet. Today, cheap feedstocks are needed to make the production of biofuels profitable. The use of food crops as a resource for biodiesel is not economically competitive with petroleum-based diesel fuel. Fortunately, around the world large amounts of inedible oil plants are widely available. Non-edible vegetable oils are not suitable for human food due to the presence of some toxic components in them. However, this doesn’t affect the biofuel production. The conversion rate of non-edible oil into biodiesel is comparable to the one of edible oils in terms of production and quality. In this process, also useful by-products are generated which can be used in other chemical processes or burned for heat and power generation. For instance, the seed cakes after oil expelling can be used as fertilisers for soil enrichment. In a non-edible vegetables oils evaluation, Atabani et al. 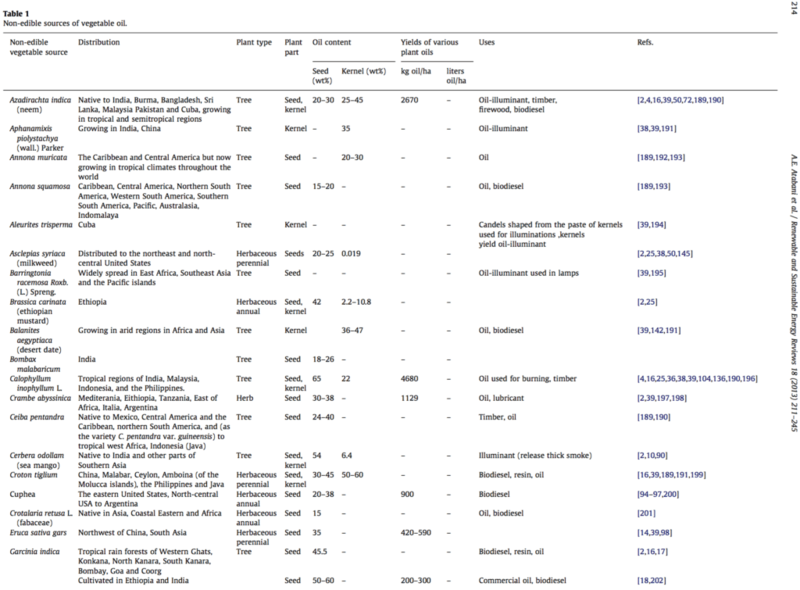 listed more than 50 useful plants for biofuel production, ranging from all over the world. Generally talking non-edible oil crops are well adapted to arid conditions and require little fertility and moisture to grow. The development of a non-edible biodiesel economy could become a major instrument to fight poverty and energy dependence in many rural areas, especially in “third world” Countries. In this process, non-edible crops could restore degraded lands and create rural employment. 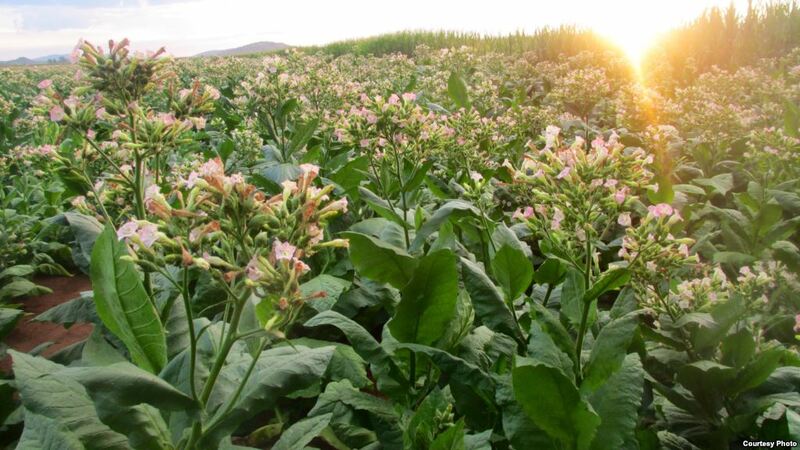 Tobacco seeds are a good resource to produce biofuel. Today these seeds are just a by-product of the harmful tobacco-leaf-smoking market. The reuse of WCO not only represent an economical feasible choice to get access to cheap a feedstock, but it is also an environmentally friendly solution. The increased worldwide food consumption has made sky-rocketing the production of waste cooking oils and fats. The utilisation of WCO diminishes the problems of contamination and it reduces the burden of the governments in disposing of the waste. Thus, the conversion of large amount of WCO into fuel may eliminates the environmental impacts caused by the harmful disposal of these waste oils.  .
Today, we have so many different choices about which biofuel feedstock to pick up. Global biofuel feedstocks should not rely only on a few sources. This might bring harmful economical and environmental imbalances. 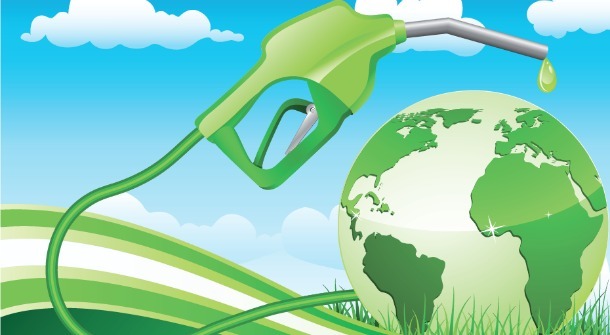 The world’s dependence on fossil fuels is a perfect example of this danger and it is imperative that today’s policy decision ensure a free market for biofuels. Biofuels feedstock crops should be facilitated through an agricultural policy that subsidises the cultivation of non-food crops in a sustainable way, which should be as diversified as possible depending of geographical locations. Cannabis is another great choice for a sustainable production of biofuels. Check out our article Cannabis biofuel: is it a feasible solution? to know more about it. In our next article we are going to talk about biofuel from lignocellulosic biomass, the most common raw material present on planet Earth. Stay tuned for more & Help spread consciousness! Did you like this article about Solutions for Biofuel? Copyright, Nature Going Smart. May not be re-printed without permission. Yang, J., Xu, M., Zhang, X., Hu, Q., Sommerfeld, M., & Chen, Y. (2011). Life-cycle analysis on biodiesel production from microalgae: water footprint and nutrients balance. Bioresource technology, 102(1), 159-165. Schenk, P. M., Thomas-Hall, S. R., Stephens, E., Marx, U. C., Mussgnug, J. H., Posten, C.,& Hankamer, B. (2008). 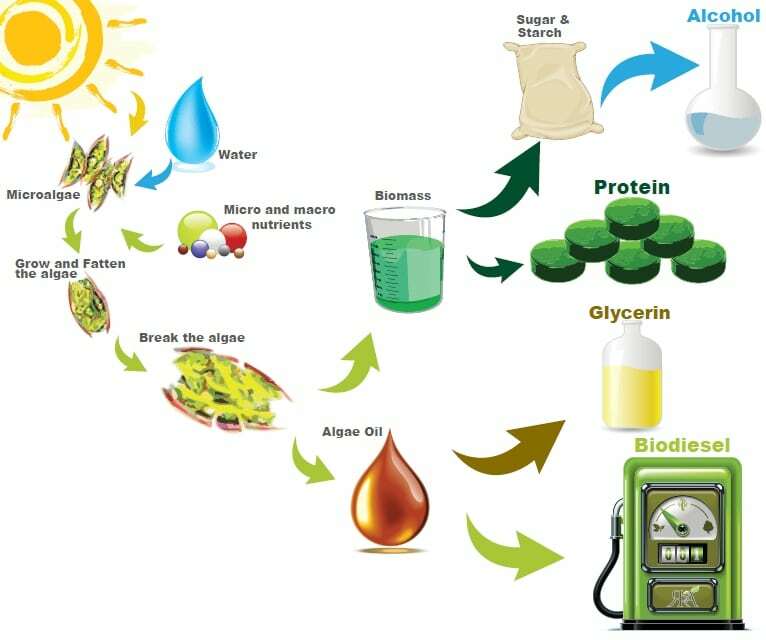 Second generation biofuels: high-efficiency microalgae for biodiesel production. Bioenergy research, 1(1), 20-43. Hu, Q., Sommerfeld, M., Jarvis, E., Ghirardi, M., Posewitz, M., Seibert, M., & Darzins, A. (2008). Microalgal triacylglycerols as feedstocks for biofuel production: perspectives and advances. The Plant Journal, 54(4), 621-639. Xin, L., Hong-ying, H., Ke, G., & Ying-xue, S. (2010). Effects of different nitrogen and phosphorus concentrations on the growth, nutrient uptake, and lipid accumulation of a freshwater microalga Scenedesmus sp. Bioresource Technology, 101(14), 5494-5500. Jorquera, O., Kiperstok, A., Sales, E. A., Embiruçu, M., & Ghirardi, M. L. (2010). Comparative energy life-cycle analyses of microalgal biomass production in open ponds and photobioreactors. Bioresource technology, 101(4), 1406-1413. Atabani, A. E., Silitonga, A. S., Ong, H. C., Mahlia, T. M. I., Masjuki, H. H., Badruddin, I. A., & Fayaz, H. (2013). Non-edible vegetable oils: a critical evaluation of oil extraction, fatty acid compositions, biodiesel production, characteristics, engine performance and emissions production. Renewable and Sustainable Energy Reviews, 18, 211-245. Ahmad, M., Khan, M. A., Zafar, M., & Sultana, S. (2011). Biodiesel from non edible oil seeds: A renewable source of bioenergy. INTECH Open Access Publisher. Phan, A. N., & Phan, T. M. (2008). Biodiesel production from waste cooking oils. Fuel, 87(17), 3490-3496. Encinar, J. M., González, J. F., & Rodríguez-Reinares, A. (2007). 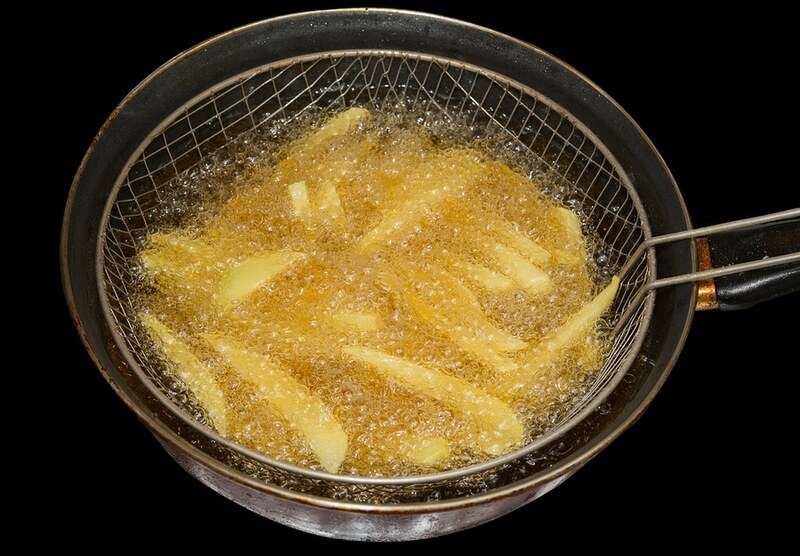 Ethanolysis of used frying oil. Biodiesel preparation and characterization. Fuel Processing Technology, 88(5), 513-522. Tab.1 from Atabani, A. E., Silitonga, A. S., Ong, H. C., Mahlia, T. M. I., Masjuki, H. H., Badruddin, I. A., & Fayaz, H. (2013). Non-edible vegetable oils: a critical evaluation of oil extraction, fatty acid compositions, biodiesel production, characteristics, engine performance and emissions production. Renewable and Sustainable Energy Reviews, 18, 214-216. Andrea Cristofoletto is a certified Yoga Teacher and has been studying the ancient science of yoga in India under the guidance of Sri Yogacharya Lalit Kumar from the Himalayan Tradition. He has deepened his knowledge on the therapeutic use of asana, pranayama, chanting, meditation and kriya techniques under the wise guidance of Ratheesh Kumar Atmaram. He has a BSc in Foreign Languages - Business Communication Specialist and graduated with a thesis on the socio-economic importance of the hemp fibre throughout history. Andrea has gained his experience through direct training in hemp fields practising organic agriculture. Biodiesel explained: what is it? Previous story What if your psychiatrist prescribed a trip in the forest vs antidepressants?